Very unique and fun!! These get lots of attention when you are out in public! Handmade purse sewn with actual Starbucks coffee bags!! The purse itself hasn't been used. The lining is the bag itself, they are very durable. They are also water proof. Easy to clean if neccessary, you just wipe off! Purse measures 7 inches high, 5.5 inches wide, and sides measure 3 inches wide. 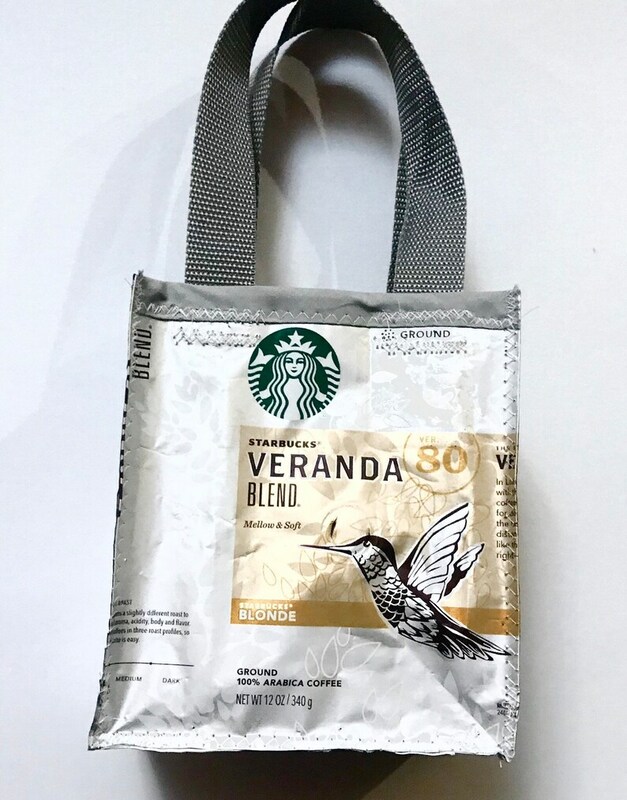 Fun Eco Friendly Purse made with Recycled Fall Blend Starbucks Coffee bags upcycled repurposed.